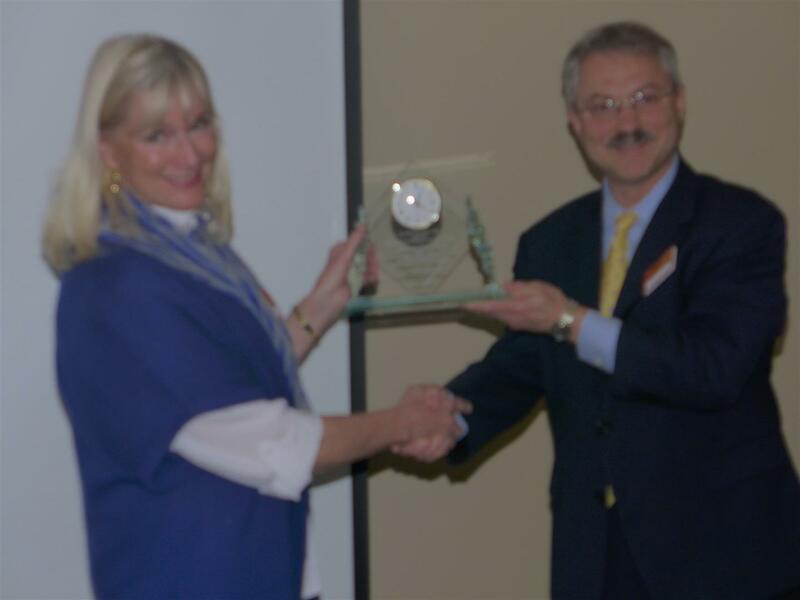 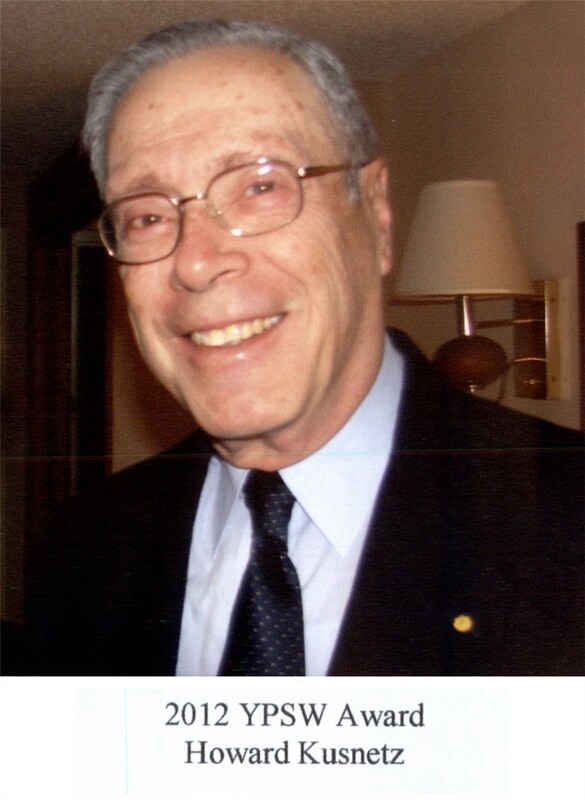 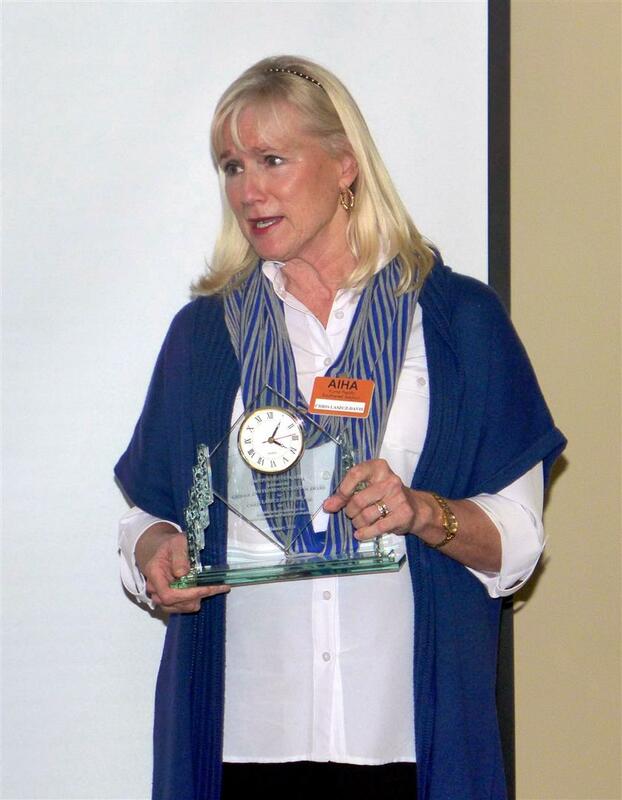 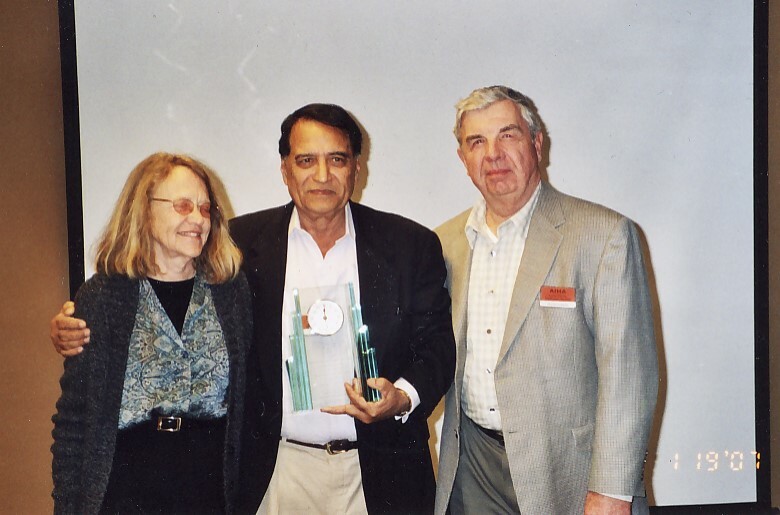 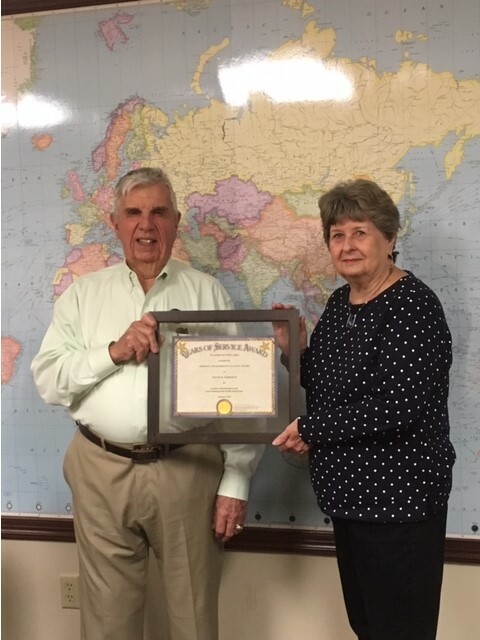 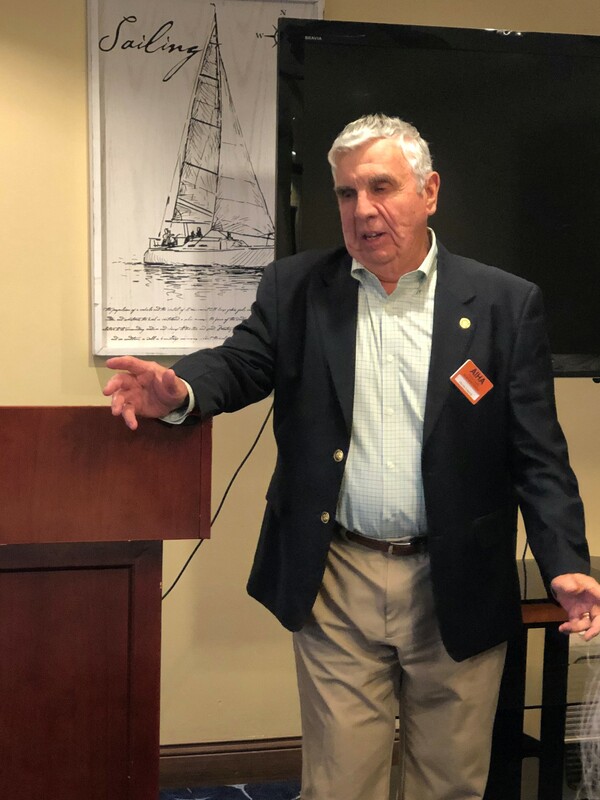 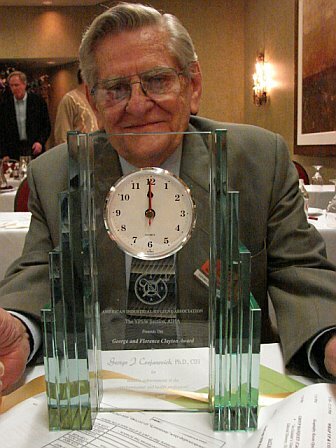 The George and Florence Clayton Award will be given not more often than annually to a member of the Section who has been exceptionally effective in promoting the field of industrial hygiene. 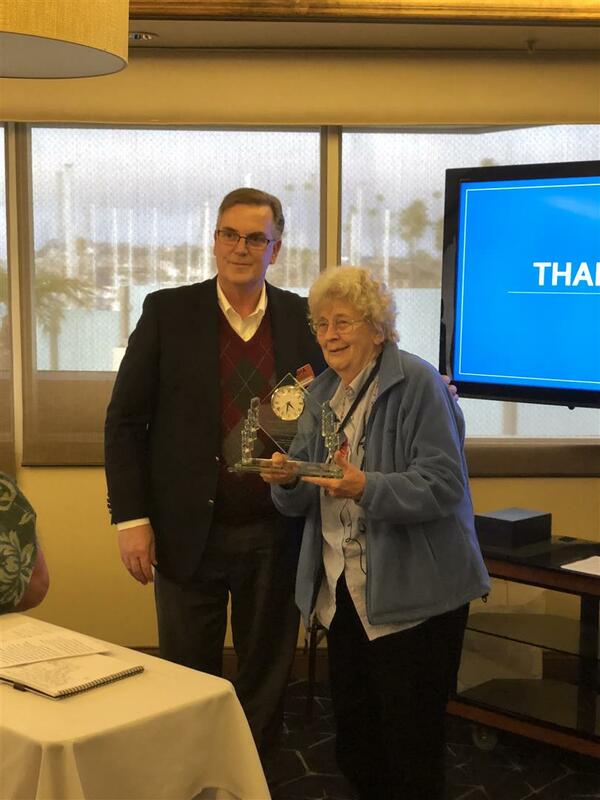 The Board of Directors decided that the awardees must be older than 60. 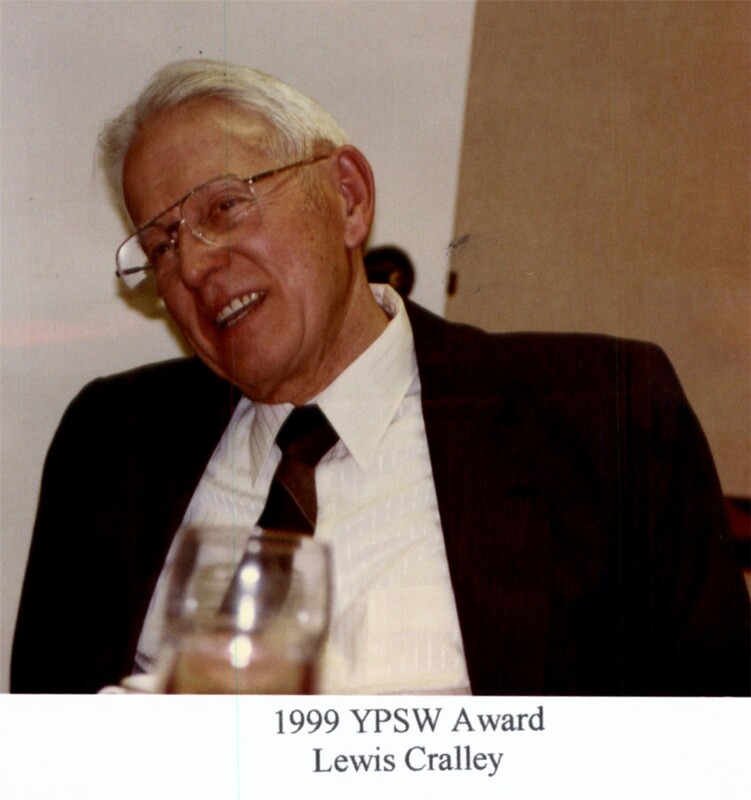 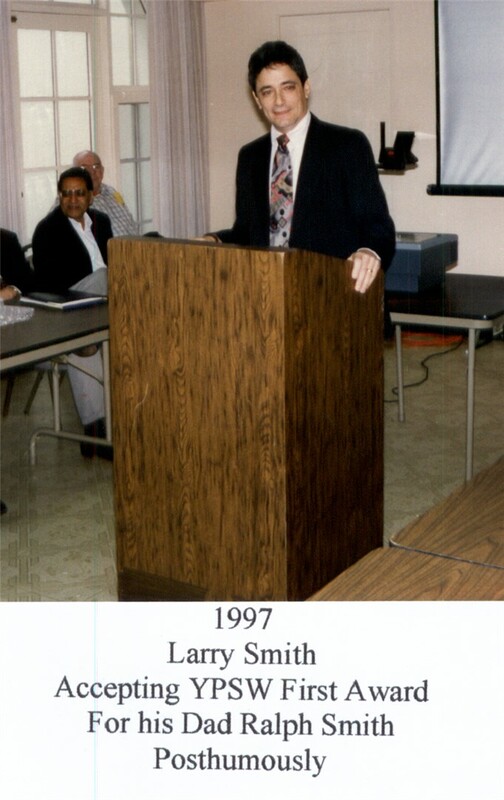 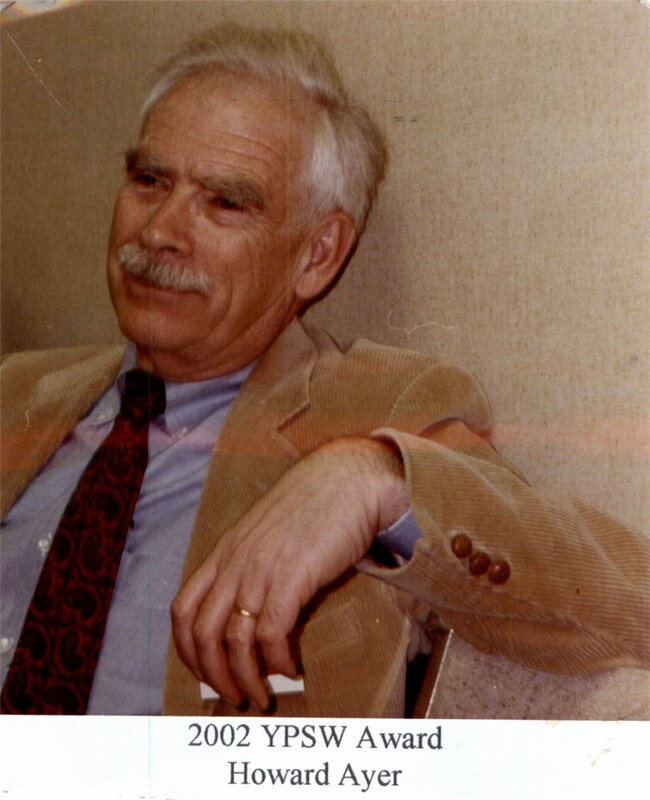 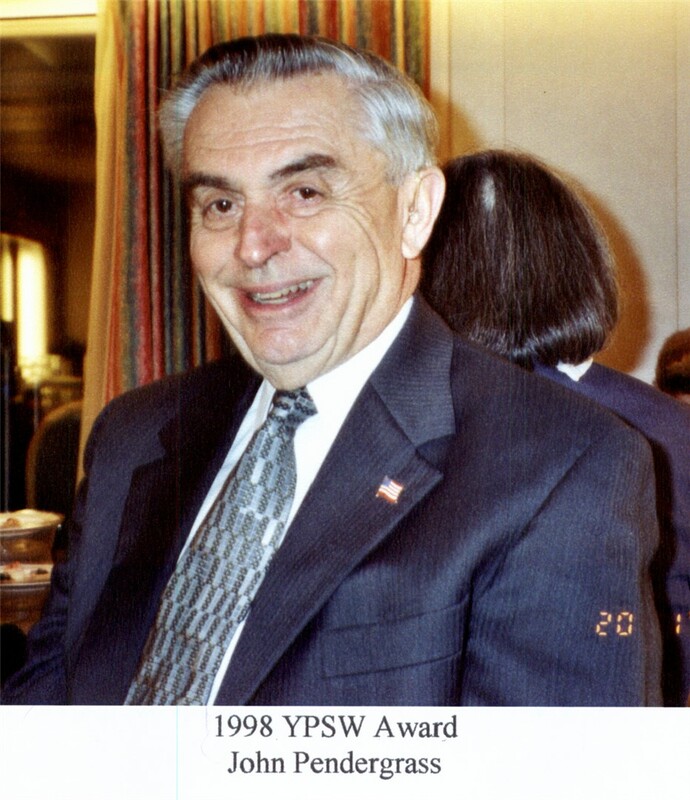 "The YPSW SECTION, AIHA presents the GEORGE AND FLORENCE CLAYTON AWARD to (awardee) for notable achievements in the environmental and health professions January (year)" The award, established by the Board of Directors in the fall of 1996, was first presented in January 1997 at the annual meeting. 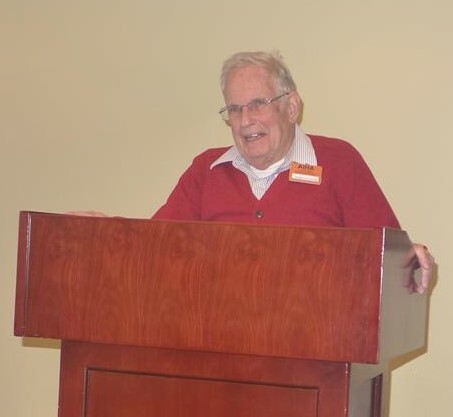 Frank Parker speaks after receiving Clayton Award. 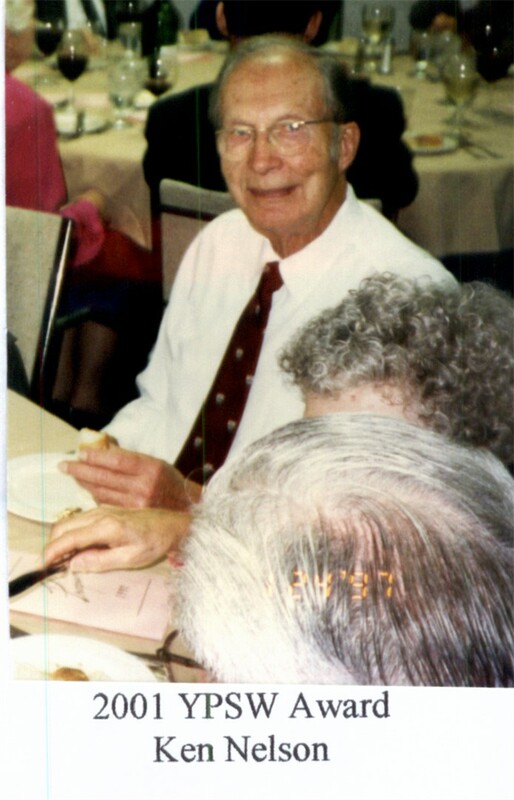 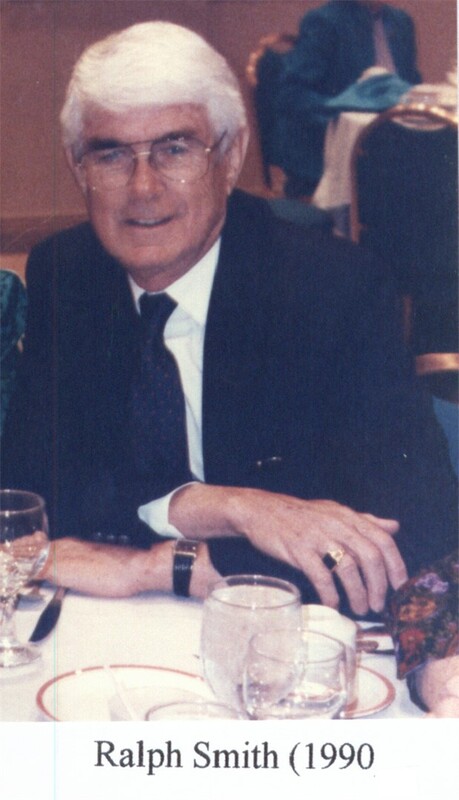 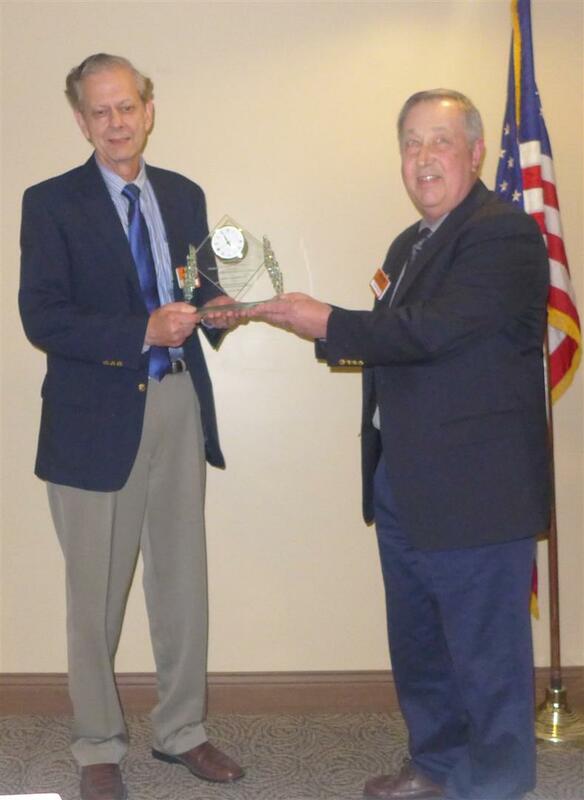 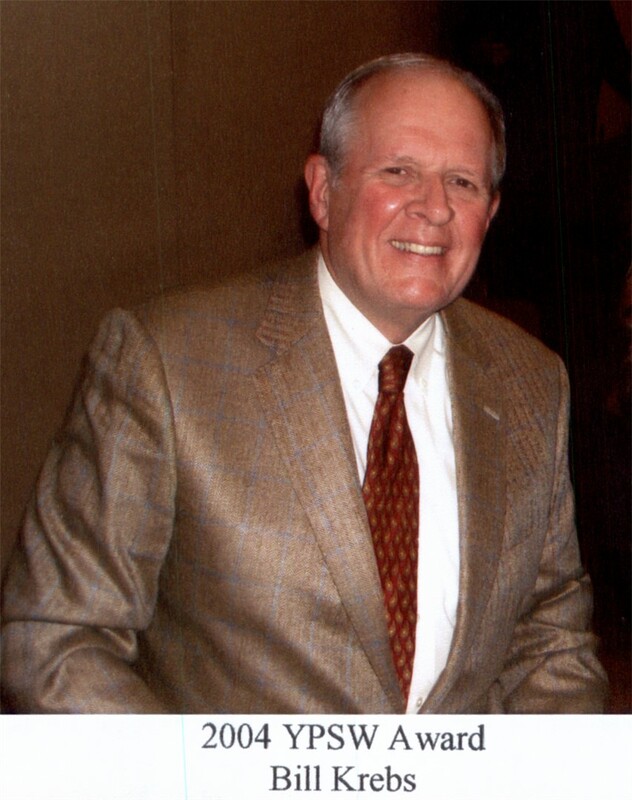 Frank Parker receives Clayton Award. 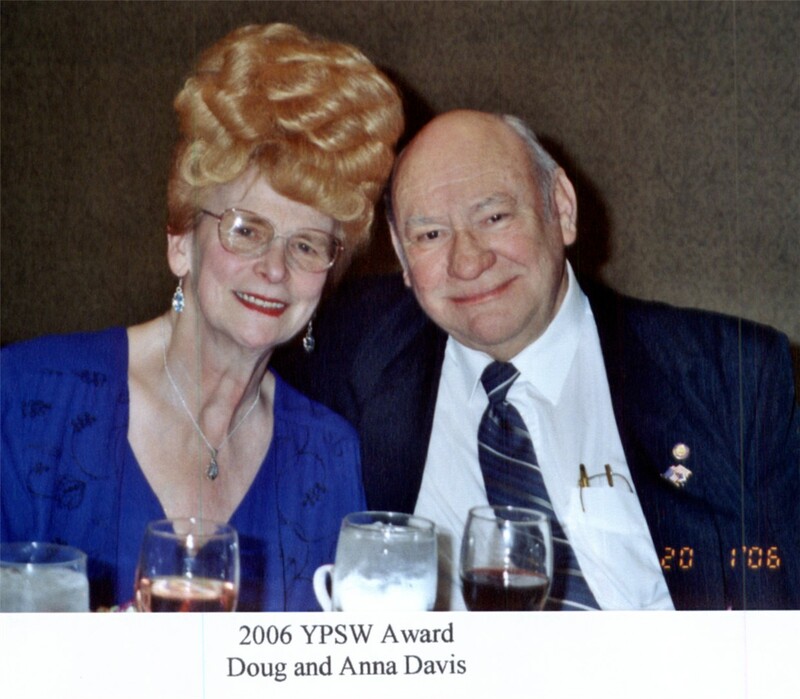 Eula Bingham receiving the George and Florence Clayton Award from YPSW President Bob Lieckfield. 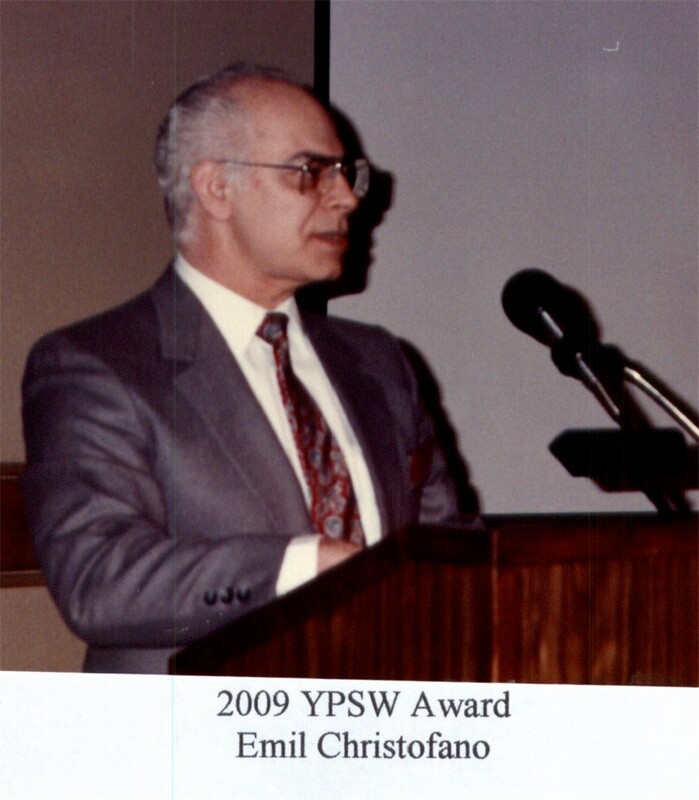 Harry Ettinger receiving the George and Florence Clayton Award from YPSW President Larry Gibbs. 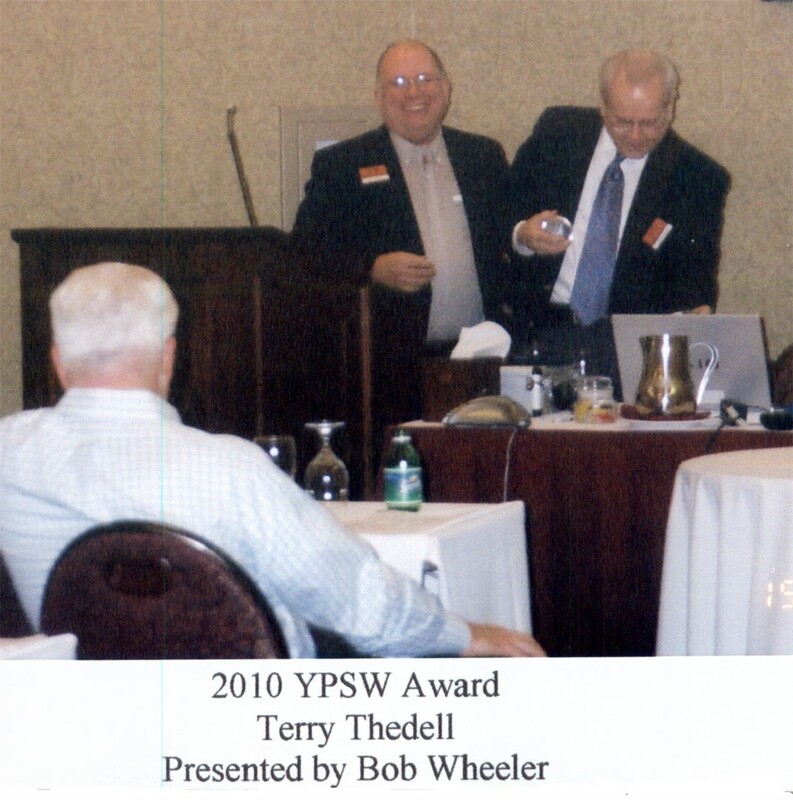 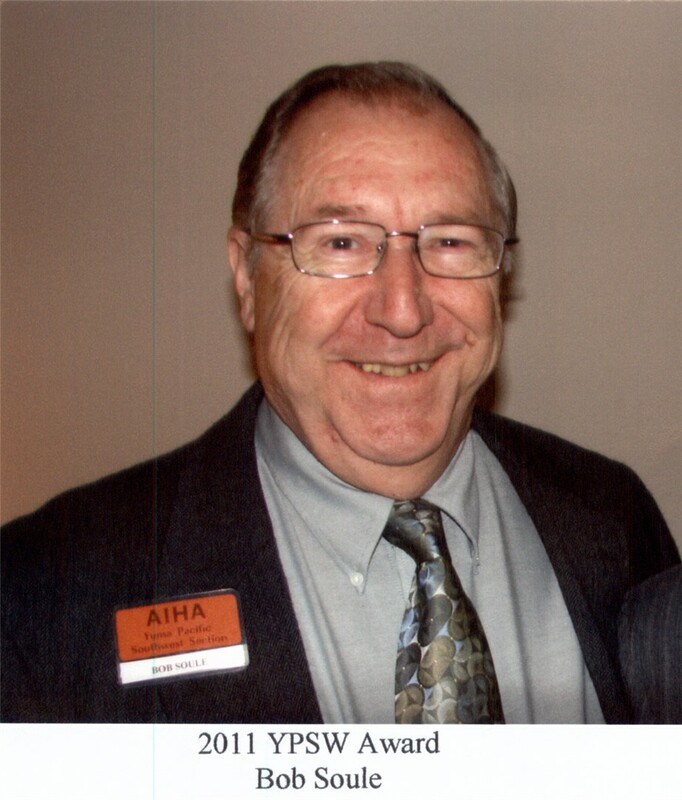 Bob Glenn was unable to attend the YPSW Meeting in 2016, and the award was presented to him using Skype. 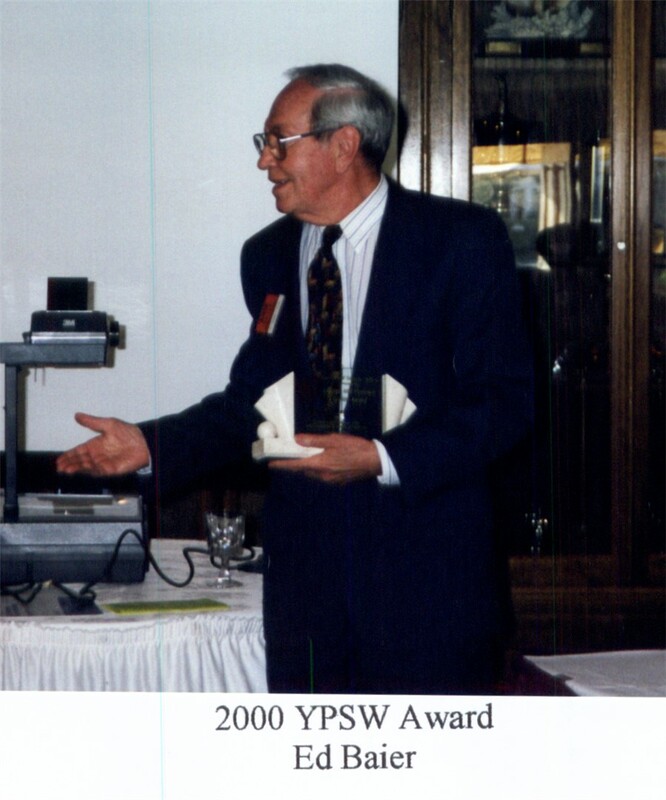 Hank Muranko receives the George and Florence Clayton Award from YPSW President Del Malzahn. 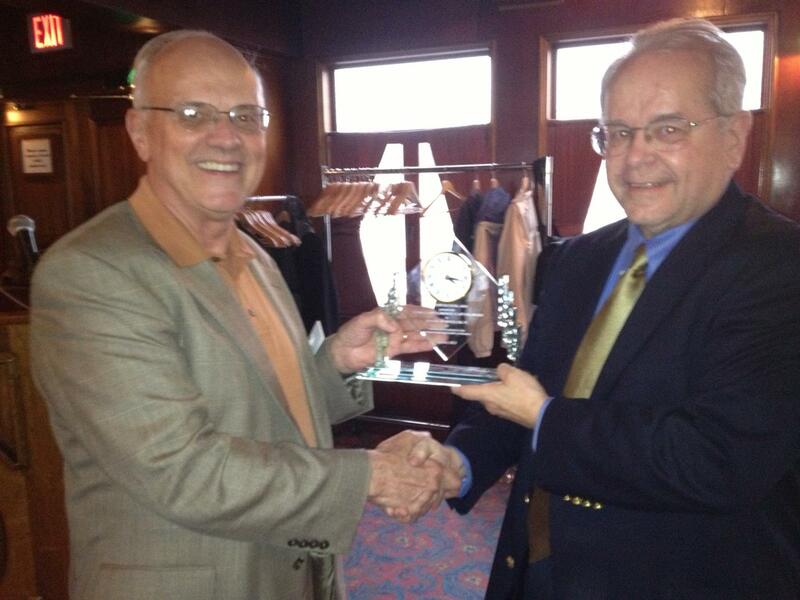 Chris Laszcz-Davis receives the George and Florence Clayton Award from YPSW President Frank Hearl. 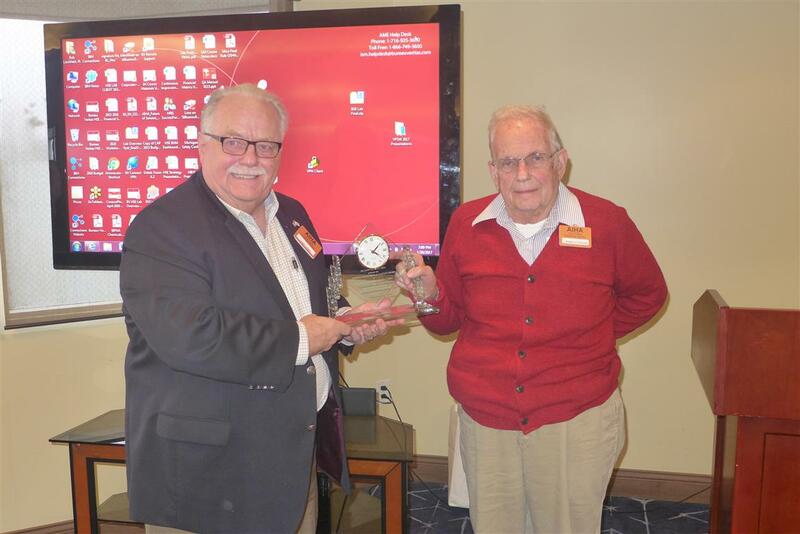 Bob Glenn presents Clayton Award to Bob Wheeler. 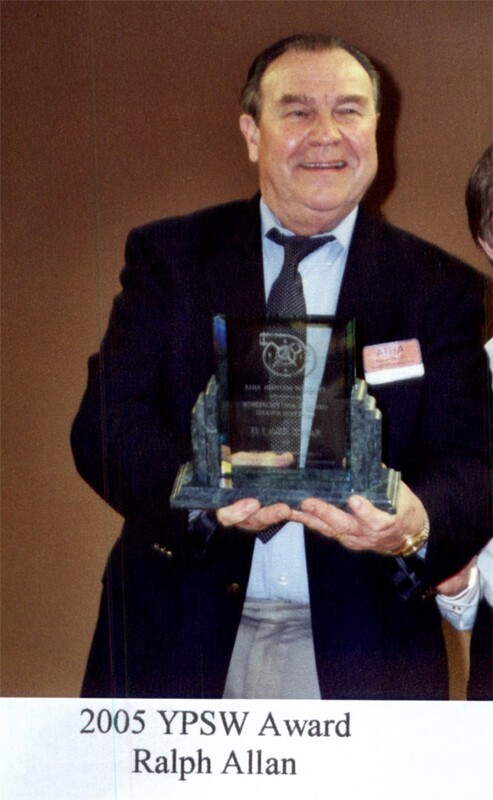 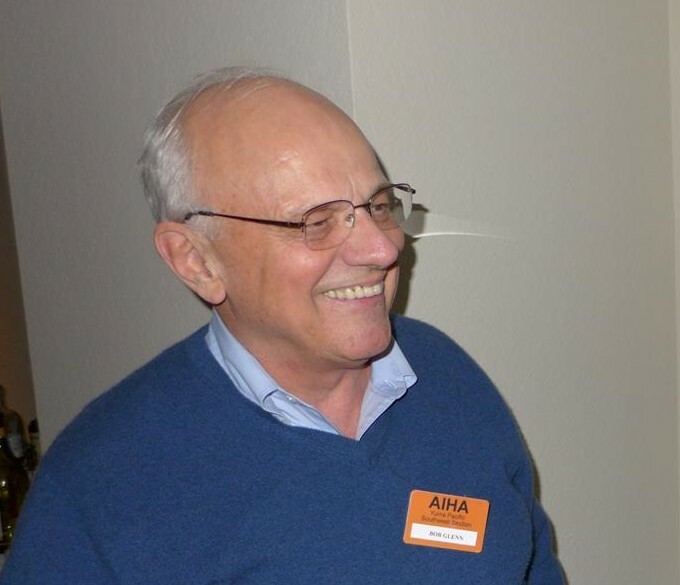 George Cvejanovich receives the George and Florence Clayton Award. 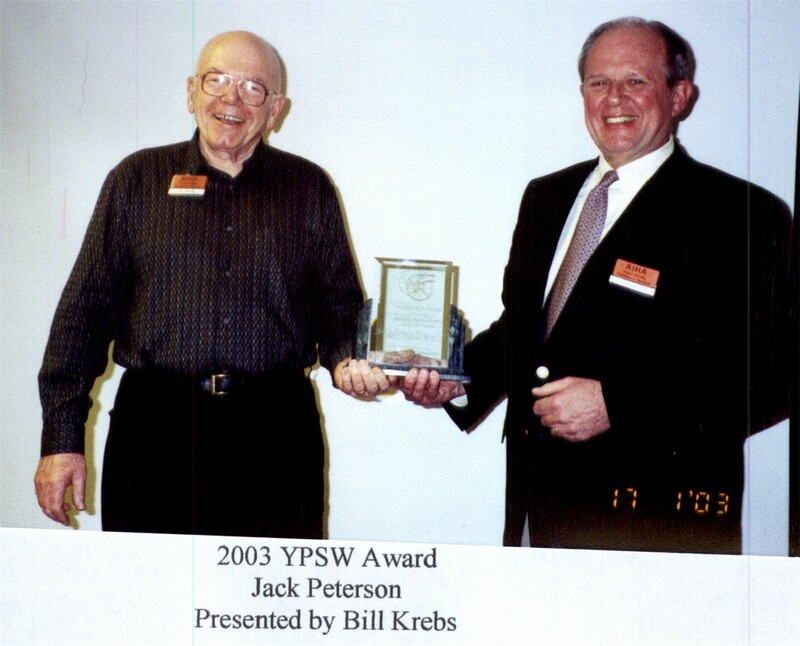 Jas Singh receives the George and Florence Clayton Award from YPSW President Frank Parker.